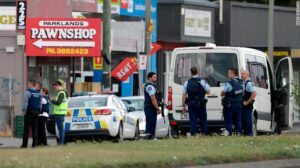 On Friday, March 15, 2019, 50 people were left dead in a mass shooting at two mosques in Christchurch, New Zealand. These terrorist attacks should be a wake-up call for every person on the planet. White supremacy hate groups are recruiting online and the danger is international. It is not a phenomenon limited to one city, state or country. Extremists are being manufactured online every day. Former members of these groups are willing to help with preventive education, as well as, intervention work, but they need to be organized, trained and funded. The approach needs to not criminalize people who have been indoctrinated with these radical ideas. We need to promote love, not hate. After the massacre of 11 innocent Jews in the Tree of Life Synagogue in Pittsburgh, Pennsylvania, I discussed ways to combat hate-speech and violence. What is needed is for all citizens around the world to educate themselves about the field of social psychology, hypnosis, and influence psychology. Learning will help protect ourselves and our loved ones and it will give us the tools to correctly identify what is really going on. It is a fact that human beings can be persuaded to adopt beliefs and participate in actions contrary to who they fundamentally are. ISIS, white-hate groups, and other extremist groups share a common thread: internet radicalization. And social media plays a big role as it allows for communities of like-thought, including hate-groups, to gather, as well as, algorithms to target specific individuals. This shooting was live-streamed on Facebook and viewed and downloaded thousands of times before it was reported and removed. Ideologically-motivated violence is fueled by the Internet and social media. Islamophobia, the fear and hatred against Islamic religions seen as a force of terror, has become normalized. Inaccurate and prejudiced news reports, along with social media posts, have fueled the flames of this type of hatred. Sadly, in this country (United States), hate-groups have flourished. Unfortunately, President Trump has spread misinformation that Obama is Muslim and wasn’t born in America. He has minimized the growth and danger of neo-nazi white extremist terrorism. He has also bought into the idea that the Judeo-Christian world needs to protect itself from Muslims. He has spoken against immigrants. And the New Zealand shooter actually cites Trump in his 75-page manifesto. After the event, he has not taken a firm enough stand against these racially-motivated attacks. Trump’s response to the New Zealand massacre highlights his combative history with Muslims. What can we do to make sure these acts of violence end? Learning about how mind control cults recruit and indoctrinate is the first step. Law enforcement needs to share information about cults and hate-groups internationally. And hate will continue unless all countries begin to rely on former members and experts of undue influence. Both of these groups can be tapped for programs to combat radicalization. Former members of extremist groups who have taken the time to educate themselves and heal themselves are our greatest asset to combat mind controllers worldwide. Arno Michaelis is my friend whom I have blogged about in the past. I interviewed Robert Örell, a former member of the extremist, neo-Nazi movement who currently works with the Swedish NGO EXIT and helps people to de-radicalize. He helps conduct training, as well as, does intervention work on the street level. And countries like the Netherlands have government-funded programs using former members. Most importantly, we should not let extremist terrorist attacks discourage us from showing love to all. The first victim of the Christchurch shooting greeted the shooter by saying, “Hello, Brother!” We should combat hate-speech and violence by showing love and treating everyone as brother and sister. My call to action remains the same: former members of destructive cults need to educate themselves and begin to talk with people they know. Respectful, intelligent, strategic engagement is needed. Learning to better understand another’s perspective, along with loving, compassionate and respectful engagement, does work! Ultimately, we need to find a narrative that will ensure our survival on this planet. We need to learn to live together; all humans need to coexist on the earth. If you look at three of the world’s major Abrahamic religions — Judaism, Christianity, and Islam, they have a common thread: be kind to neighbors and strangers. Abraham was hospitable to all, as shown by his tent being open on all sides and anyone could enter for food or drink. We need to learn to show the same spirit and not have hate and fear as the driving factor in our interactions. UPDATE: There is suggestive evidence that Trump’s rhetoric matters. Counties that hosted a 2016 Trump rally saw a 226 percent increase in hate crimes.